Artex Aircraft Supplies has proudly announced the availability of a new ELT. Called the ME406, the new ELT is designed specifically for the private pilot. 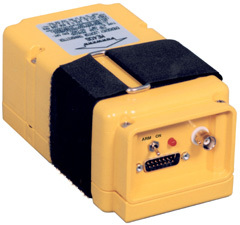 ME406 is a 406 MHz ELT which will sell at about $1000. This price is a breakthrough in ELT technology. The ME406 will transmit on 121.5 and 406.028 MHz. Some key features of the new ME406 include a weight of 2 pounds; a mechanical footprint compatible with all Artex and some other ELT footprints. The ME406 features a small overall size and single antenna output feeding a wire whip antenna which transmits on both frequencies. The ME406 will be available through the Artex distribution network.